Professional Stagers® charge from several hundred to several thousand dollars, depending on the size and condition of the home. We provide Staging® services at no extra cost. 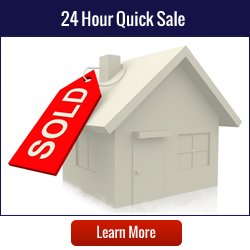 • Sell an average of 50% faster than non-staged homes! 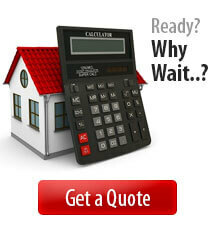 • Experience an increase in sales price of 6.9% over non-staged homes! • Experience an average increase in equity of nearly $17,000! Linton Hall, Realtors® has several ASPs (Accredited Staging Professionals) on staff and at your service when you’re trying to sell your home in Gainesville, VA or in nearby towns like Bristow and Haymarket, Virginia. With our optional staging services we can prepare your home for sale, regardless of price or location. The objective is to make your home more visually and emotionally appealing to prospective buyers. Additionally, we will showcase your home with a Virtual Tour that includes multiple photographs of the interior and exterior of your home. You do not get a second chance to make a first impression. 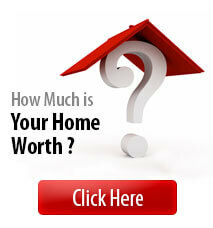 This is especially true when selling a home in Prince William County. Buyers typically make up their minds within 10 seconds of entering the front door, then spend the rest of their visit reaffirming their decision. An attractive yard is the first step to drawing buyers to a property. Keep the lawn cut and trees/shrubbery trimmed. Weed flower beds and remove any dead plants/shrubs. Add colorful potted flowers or plants to the front porch and/or deck. Be sure plants do not block windows. Keep driveways, walkways and porches free of leaves and debris. Add a fresh coat of paint, stain or varnish to the front door and door frame. Clean gutters so they are free of debris. Caulk around windows, if needed. Minimize the amount of furniture on your patio, deck and other outdoor areas. Put away lawn mowers, rakes, shovels, and other landscaping tools. Buy a new doormat and hang a colorful wreath to welcome buyers. When selling your house, less is definitely more! De-personalizing and de-cluttering your home will enable potential buyers to visually move in; it will also make your house appear more spacious. Give away or donate unwanted items, or have a yard sale. Clear surfaces of all but the bare essentials, even bookshelves. Remove personal photographs to depersonalize and keep buyers focused on the house. Clean out closets/pantries, keeping floors clear so storage spaces appear roomier. Pack out-of-season clothes and holiday items. Put away collectibles, prescription medications and other valuables to avoid breakage or theft. Store political and religious momentos so your home appeals to as many buyers as possible. Personal information should be kept in a safe place out of sight (ex: mail, bills, etc.). Remove area rugs and oversized furniture so rooms appear larger. To make your home stand out from others on the market, be sure it sparkles! Clean the house from top to bottom, including corners where cobwebs hide. Be sure windows and mirrors shine. Pay special attention to vent covers, switch plates, light fixtures, and baseboards. Make sure your kitchen is spotless. Take magnets and other items off the refrigerator. Clean inside and around the fireplace; dispose of ashes and partially-burned pieces of wood. Clean windows inside and out so light is able to enter and illuminate your home. Keep floors swept. Vacuum and steam clean carpets to give them a new look. Remove stains from garage floors. Stack boxes along walls to highlight its storage capacity. Make sure your bathrooms are spotless. Open windows to air out the house. If you smoked indoors prior to listing your house, steam clean carpets and drapes. Only smoke outside while the house is listed & dispose of cigarette butts properly. Wipe down walls, doors and door knobs. Keep plastic bins handy to store toys at a moment’s notice. Reduce the number of toys in main areas of the home and in the yard. Be sure all toilets are flushed and potty training seats are out of sight. Store pet toys, beds, food and food dishes out of sight. Keep litter boxes scooped and out of sight. Be sure the yard is free of waste.